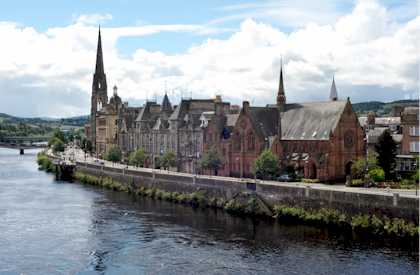 Perth is a city in central Scotland, located on the banks of the River Tay. There has been a settlement at Perth since prehistoric times, on a natural mound raised slightly above the flood plain of the Tay, where the river could be crossed at low tide. Due to its location, the city is often referred to as the 'Gateway to the Highlands'.